With all the work going on outside the shop, I haven't posted as much here as I would have liked. So, what has been going on? Well, I finished up several butterfly garden sculptures this week. Plus, I have been working on some cool balcony railings. 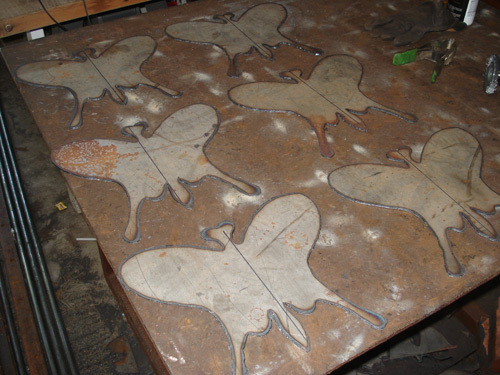 Anyway, here is shot of the six butterflies cut out and ready for the next step in their metamorphisis.